Join us for the London Bus ride Friday, Feb. 24, 2017! Join friends of MEF for an evening of song and wine, hosted by Liz and George Wight. Enjoy wine tasting and silent auction shopping, and meet and mingle with the wonderful people who make music, teach music, or support musicians and music education. 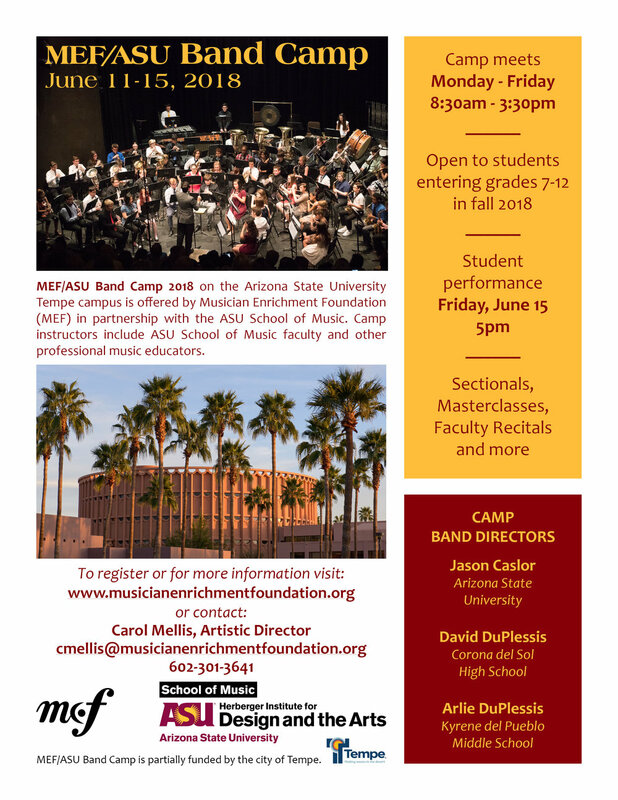 Enroll your child (entering grades 7-12 in the fall of 2016) in an intensive one week summer band camp at the Tempe Center for the Arts. The camp will culminate in performances by each concert band and several ensembles. 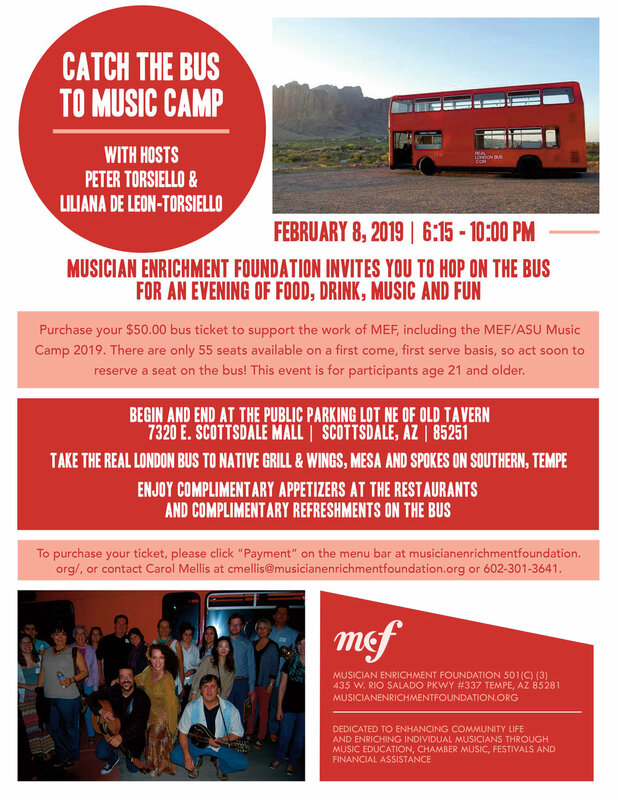 Join friends of MEF on a Real London Bus to enjoy music by Peter Torsiello and Liliana de Leon Torsiello while traveling to two venues for complimentary appetizers and great fun! No host bar. Make a 2016 donation to MEF of $50 or more to get a seat on the bus. Join friends of MEF for an evening of song and wine, hosted by Liz and George Wight.